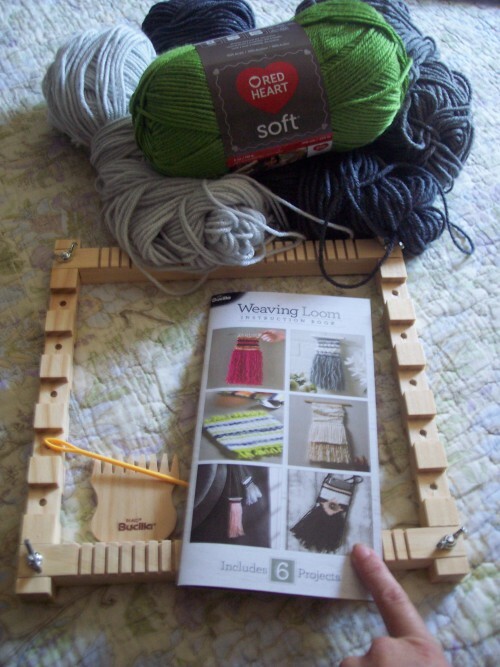 I was approached by Red Heart Yarns to review an adjustable weaving loom by Plaid. 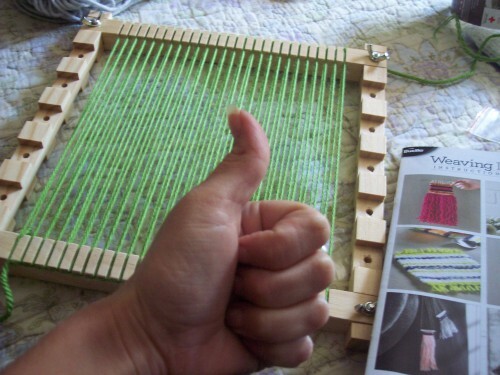 I have never used a loom, let alone a WEAVING loom! 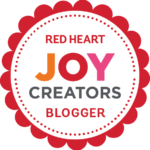 I was a bit intimidated by the idea and felt like a complete rebel when I volunteered to do a review. I did NOT write a “pattern” but I took lots of photos! I want to share with you my process, and what was going through my mind the entire time! All supplies for this project was supplied by Red Heart Yarns and Plaid. Just looking at the package…. looks simple enough. I like simple!!! 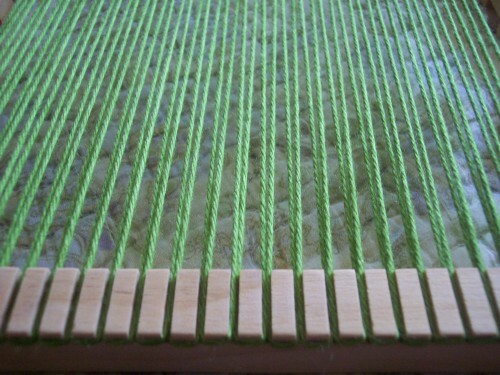 The weaving loom took about five seconds to piece together. There were instructions, but honestly, it’s super simple and I didn’t even read the instructions for piecing it together. You notice I am pointing at the little purse. I like making things that can be used…. 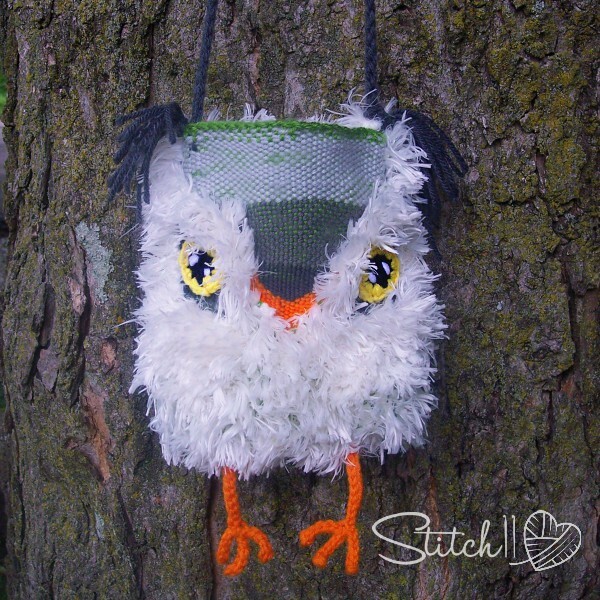 so a purse seems like the ideal first weaving project for me! 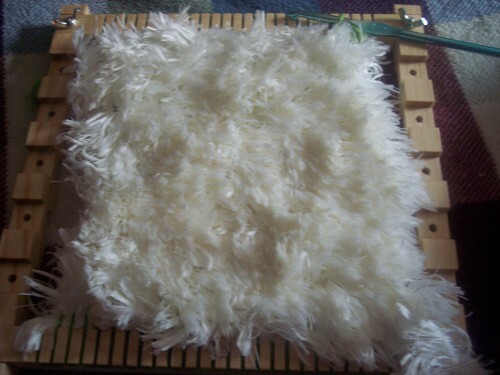 While preparing the loom with yarn, I had to read the instructions a few times… and kept looking at their photos for reference. I’m pretty sure I did it right! Yep! Looks right to me! Also, just in case you are wondering…. I used Red Heart Soft for this portion of my project. Before this moment, I had played around and tried different things that were explained in the instruction manual. I decided a triangle would be simple enough for a newbie like me! I can tell by looking at the photo, my tension is a bit tight… and I could have pushed the stitches down tighter as I went. Lesson learned. I flipped my piece over and realized it kind of looked like the forehead of an owl! 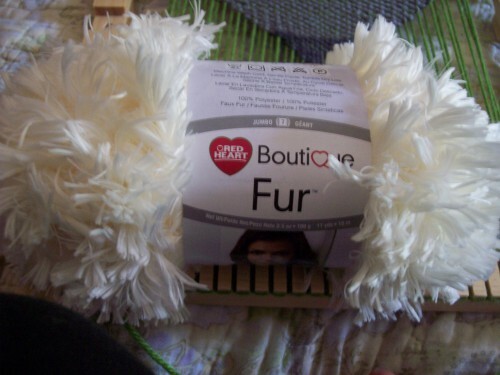 So, I grabbed some Red Heart Boutique Fur yarn! If you’ve never had this yarn… you NEED it! Even if you don’t know what to do with it… it’s just as pleasant as a new kitten! Maybe more pleasant because it doesn’t have claws! 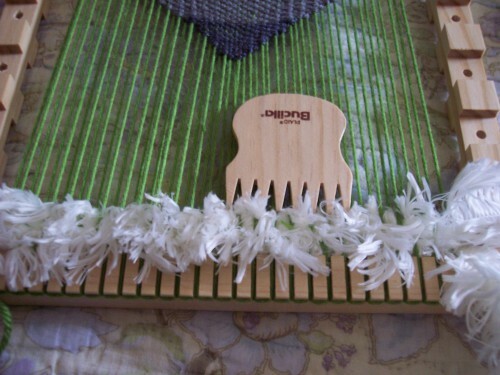 The little comb that came with the Plaid Weaving Loom not only comes in handy with keeping your rows tight… it also works wonders with picking the fur up through the loom… so the fur is mosty on one side. At this moment, I knew my owl was going to need a beak. I wasn’t sure how this was going to work out…. but I feel like I pulled it off! It was a bit tricky, but it will work! If I ever make another, I will make the tip of the triangle the nose, instead of adding to it. At this point, the sun was starting to go down.. and my daughter started hovering over my shoulder. Why am I sharing this? If you’re a mother, you know why. It’s dark outside and everyone is sleeping. Now is the moment of truth. 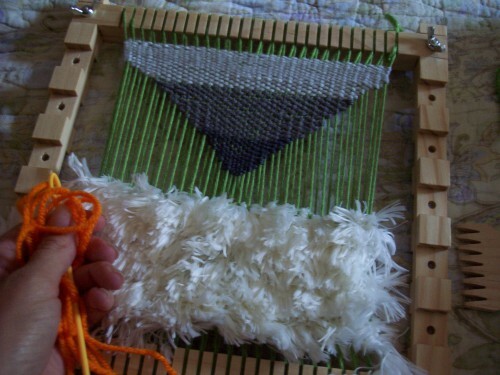 Taking the piece off the loom and finishing it off was actually a lot easier than it looked…. but now I see all my mistakes. Let me share some tips for you, so you don’t make the same mistakes as me! 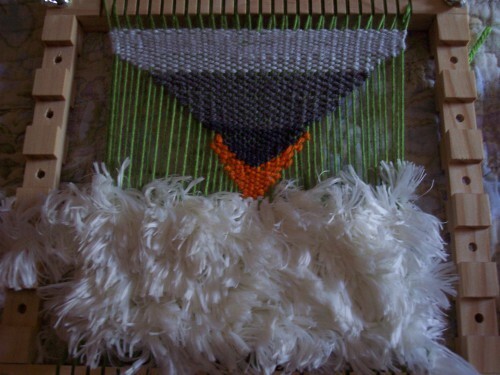 – If you are making a purse, weave as close to the loom as possible. Leaving space makes it all slide a bit too much. 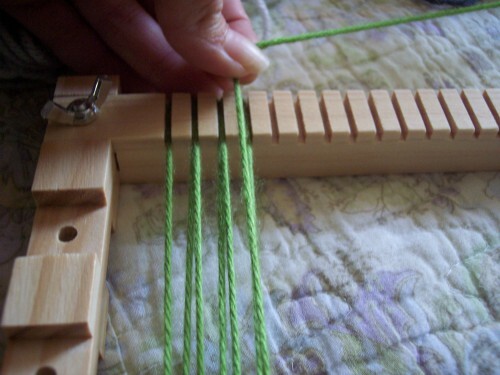 – DO NOT weave in ends until you have removed the piece from the loom. This is my biggest mistake. 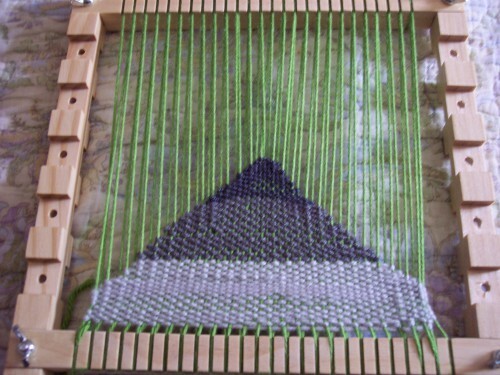 Since I had already wove in some ends….. when I removed it from the loom, the yarn couldn’t slide evenly… leaving my owl forehead looking a bit wonky and uneven… and sloppy. It’s a new day and a new piece! The back of my purse is ALL Red Heart Fur. So quick, so easy, so FLUFFY! 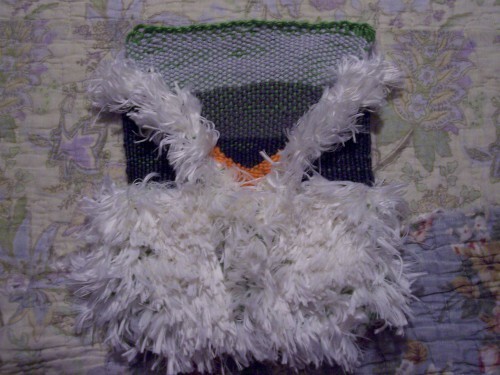 Next I crocheted eyes, feet, added ears, a strap and whip stitched around the sides and bottom of the purse to join it together. My daughter LOVES her new purse!! 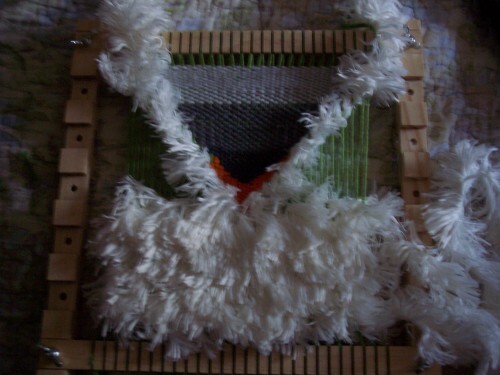 Overall – for my first weaving experience, I am VERY happy with the outcome! 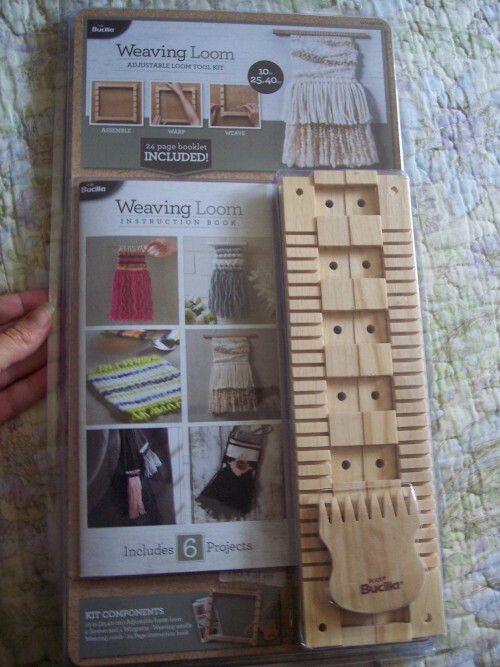 There is no way I could have pulled this off without the Plaid Bucilla Weaving Loom Kit.